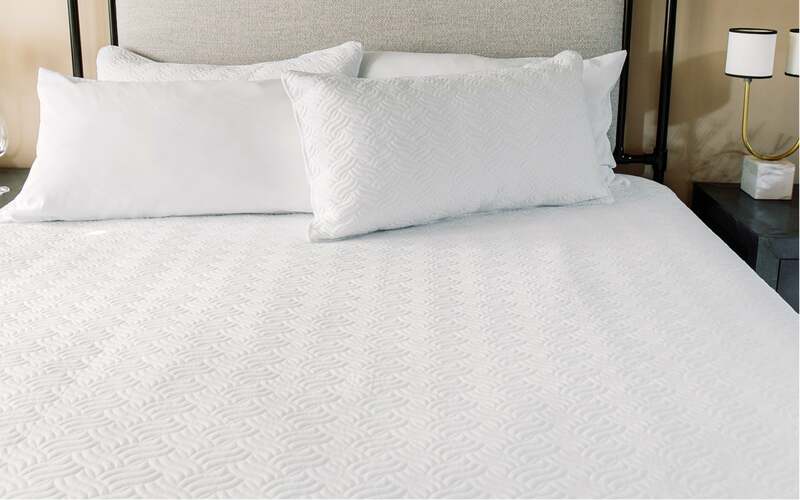 Featuring an Art Deco twist on our regular Quilted Blanket, this one features stitching in an elegant, repeated curve pattern. Made of our famously soft high-performance fabric, this lightweight blanket is guaranteed to satisfy even the most sensitive of sleepers. Pairs perfectly with matching shams, and looks beautiful folded at the end of the bed.